This post may contain affiliate links. Read my privacy + disclosure policy. 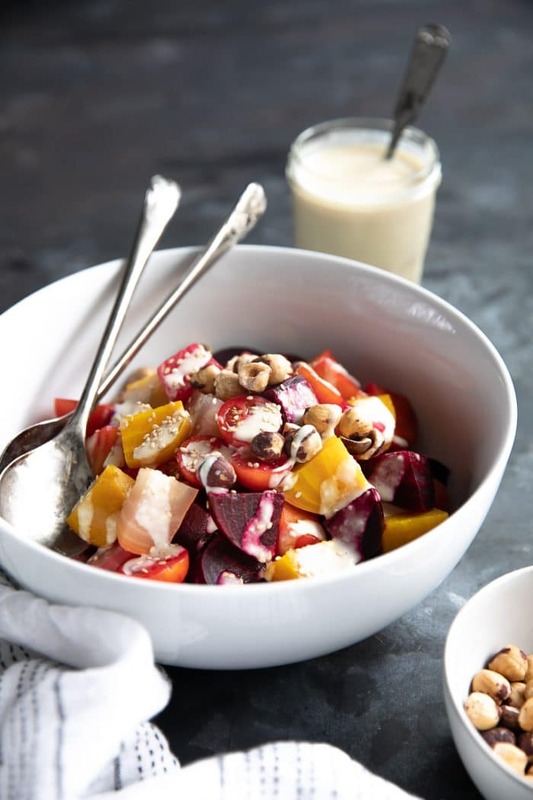 Easy and delicious, this Roasted Beet Salad Recipe is filled with tender sweet beets, cherry tomatoes, hazelnuts, and drizzled with a smooth and creamy homemade Miso Dressing. Beet Salads come in all shapes and sizes. From warm to cold, raw to roasted, vegan to loaded with tangy goat cheese, there is no shortage of beet salads to choose from. Incredibly nutrient-rich and naturally low in calories, beets are fast emerging as one of the hottest superfoods. 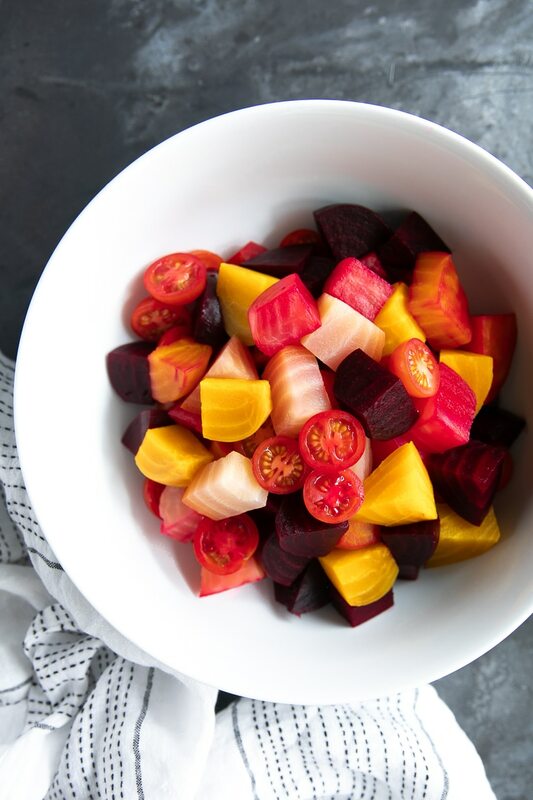 This bright and colorful beet salad was inspired by my most recent batch of roasted Chioggia, red, and golden beets. 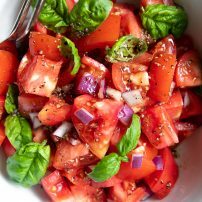 Like a beautiful sunset, this easy, 10-minute salad is filled with all the shades of red, pink, yellow and orange. 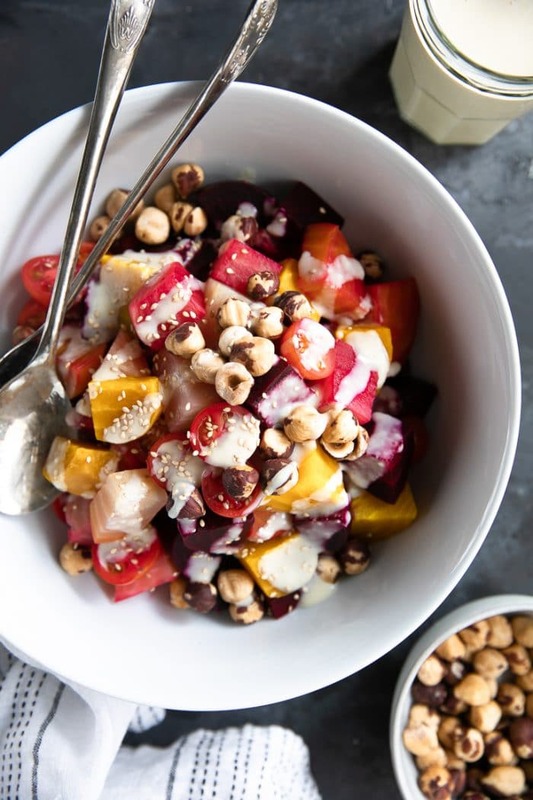 Tender and sweet, this delicious roasted beet salad is joined by sweet cherry tomatoes and crunchy hazelnuts and drizzled with a smooth, and extra creamy, homemade miso dressing. If you’re curious about the beets, don’t worry about finding all three colors. Just one color would be just fine. As a general rule, Chioggia beets (the light-colored red and white beets) are said to be the sweetest, while the golden beets are said to be the mildest in flavor. What about those hazelnuts? Do you love them as much as me? Because I go pretty crazy for these classicly chocolate-covered nuts. Not sure? 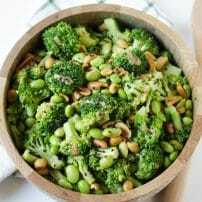 Feel free to skip them and replace with your favorite alternatives, such as almonds or cashews. There are many ways to cook and prepare beets- boiling, steaming, roasting, slow cooking- each method has its pros and cons and everyone seems to have their favorite method. Believed to lock-in and enhance the natural sweetness of beets, roasting beets takes approximately the same amount of time as boiling or steaming and, in the end, still requires that you peel away the skin (making it just as messy as the other methods). To roast beets, set your oven temperature to 425 degrees F. Thoroughly wash each beet, drizzle with olive oil, and wrap each individual bulb in foil. Transfer the beets to a large baking sheet and allow them to roast until tender, approximately 45-60 minutes. Remove beets from the oven, carefully remove foil, and allow your beets to cool before peeling away the skin. Rinse with cold water, slice and enjoy! No oven? Or not a fan of roasting? Learn all about How to Cook Beets in this post. Now that we know how to roast beets, some of you may be wondering what’s up with this Miso Dressing? Miso is a thick, fermented paste which is achieved by treating a mixture of soybeans with koji. Koji is a mold (don’t worry, cheese is as well) that’s been cultivated from rice, barley or soybeans. For weeks, months, or sometimes even years, the enzymes in the koji (aka mold) team up with the microorganisms in the environment to break down the soybeans into fatty acids, simple sugars, and amino acids (aka stuff we need). In short, miso is fermented soybeans and it is delicious. Light miso (or white miso): light miso is much sweeter and “mellow” tasting; perfect if you’ve never tried miso before and have no idea what it tastes like. Light miso has a higher amount of koji (remember the mold?) to soybeans and shorter fermentation time. For this dressing, we’re using white miso mixed together with a handful of other delicious ingredients. The result is a combination of creamy, tangy, salty, sweet, all mixed together in one beautiful, impossible to describe, dressing. But don’t take my word for it, miso doesn’t just love to be mixed into salad dressings, it also loves being used in soups, noodles, or on your favorite meats and vegetables. Are beets good for you? Beets are one of the most nutrient-rich foods you can feed your body. Considered a superfood, you can’t go wrong with adding more of beets to your daily diet. Not a fan of eating whole roasted beets? Try blending them into a smoothie or even use them to make a Bloody Mary. So what are the health benefits of eating beets? Low in calories, but tons of nutrients. Beets do a really great job at feeding your body the vitamins and minerals it needs without packing in the calories. For example, in a 3.5-ounce serving, beets contain just 44 calories, 2 grams of fiber, 20 % RDI of folate, and 16 % RDI of manganese. Helps regulate blood pressure. Beets contain a high concentration of nitrates, which when ingested, are converted to nitric oxide. Nitric oxide helps dilate blood vessels, causing blood pressure to drop. Beets are a good source of fiber. As we know, fiber is important in maintaining a healthy gut and preventing things like constipation. Beets are low in calories and high in water. Given the high content of water and fiber in beets, they are an excellent addition to any diet – especially for those who are trying to lose weight (although I will never claim that any food is responsible for weight loss). This impressive salad couldn’t be any easier to prepare. Whenever possible, I always like to roast the beets ahead of time so that when I’m ready to make lunch or dinner, I don’t have to wait an hour for the beets to cook. Many supermarkets these days also sell pre-cooked and peeled beets but they are always much smaller and definitely much more expensive. 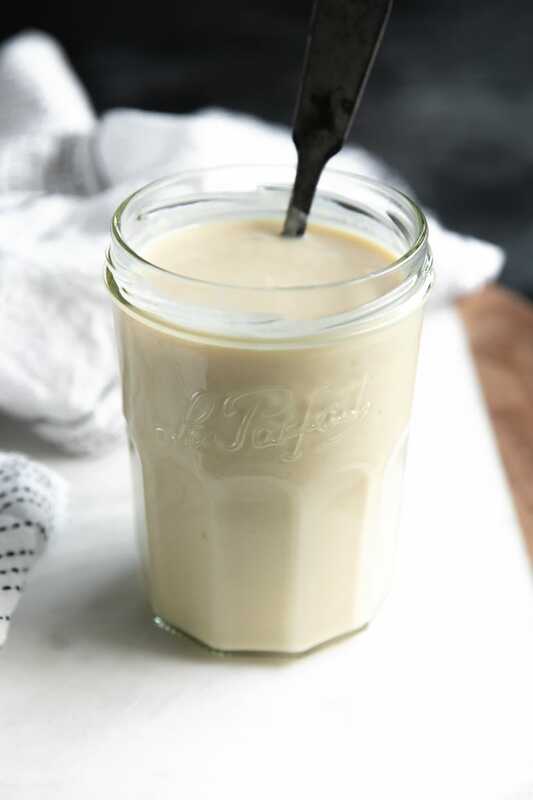 Although it takes just two minutes to prepare, the miso dressing can also be made ahead of time and stored in a sealed jar or container in the refrigerator until ready to enjoy. To make, simply add all the ingredients to a small food processor and blend until smooth and creamy. The rest is easy. 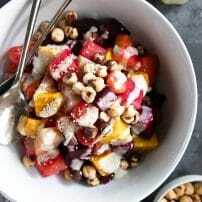 I added cherry tomatoes and hazelnuts, but feel free to have fun and make this salad your own. Salmon would be a fantastic addition if you’re looking for some added protein and small pasta, such as orzo, to make it a complete meal. 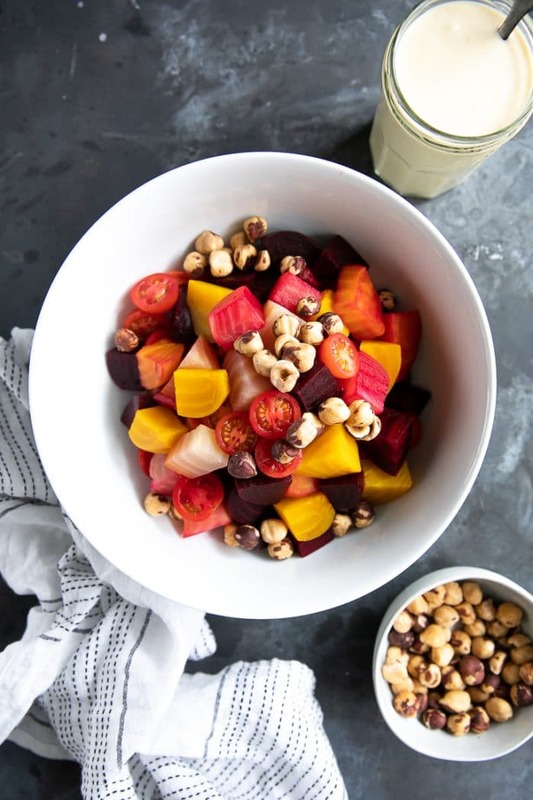 DON’T FORGET TO PIN AND SHARE THIS EASY AND DELICIOUS ROASTED BEET SALAD RECIPE AND ADD IT TO YOUR NEXT WEEKLY MEAL PLAN! 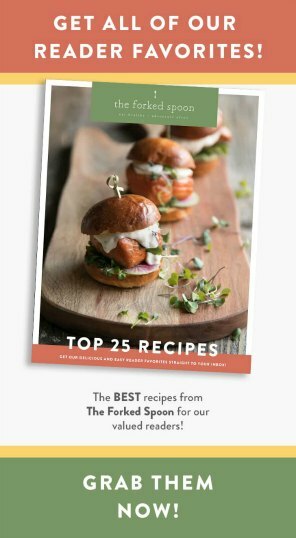 REMEMBER TO SUBSCRIBE TO THE FORKED SPOON NEWSLETTER FOR FREE AND RECEIVE WEEKLY RECIPE NOTIFICATIONS DELIVERED STRAIGHT TO YOUR INBOX! If you try a recipe, please share it using the hashtag #theforkedspoon or by tagging @theforkedspoon on INSTAGRAM! 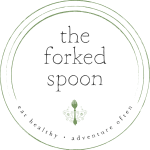 Follow The Forked Spoon on FACEBOOK | INSTAGRAM | PINTEREST | TWITTER for all of the latest recipes and updates. Preheat oven to 425 degrees F. and set oven rack to the center position. Chop off the beet greens, leaving approximately 1-inch of the green intact. Wash and scrub the dirt from each beet. Place each beet in a piece of foil large enough to fully wrap up the beet and drizzle with approximately 1/2 teaspoon olive oil. Wrap each beet tightly in foil and transfer to a large baking sheet. Roast for approximately 45-60 minutes, or until fork tender. Remove beets from the foil and allow them to cool before peeling. Chop into small, bite-size cubes. Prepare the miso dressing. Add all ingredients to the bowl of a small food pressor and processing until smooth. Season with additional miso, rice vinegar, or honey, to taste. 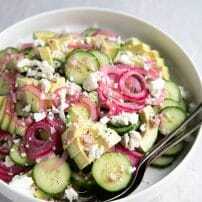 Meanwhile, add the chopped beets and cherry tomatoes to a large salad bowl. Gently toss to combine, taking care as beets will stain hands (temporarily) and clothing. 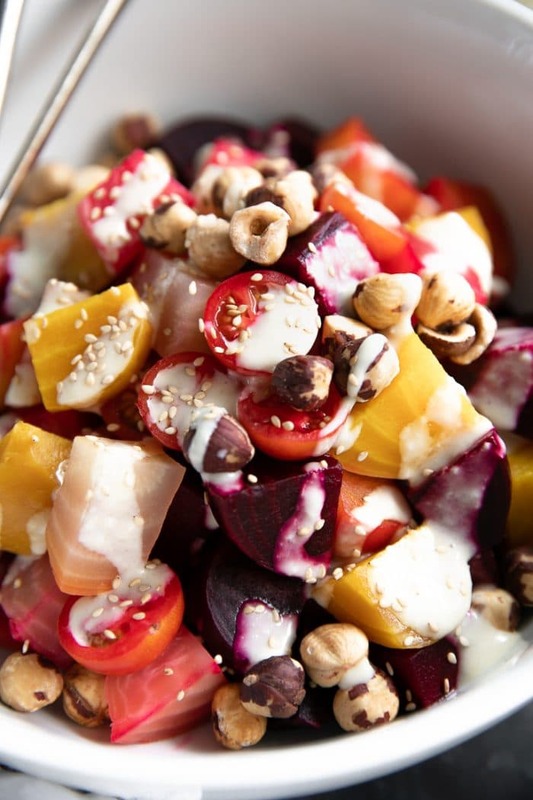 Sprinkle with hazelnuts and drizzle with the homemade miso dressing. Garnish with sesame seeds, if desired. Enjoy! Adding mayonnaise will make the dressing significantly creamier. If you're not a fan of mayonnaise, feel free to substitute with plain yogurt or skip altogether. Approximate time to roast beets is 45-60 minutes. Miso paste is not typically gluten-free, however, there are gluten-free miso options available. Miso Master is one brand I have used personally and love. Did you make this recipe?Tag @theforkedspoon and hashtag it #theforkedspoon and please leave your star rating in the comment section below. Jessica Randhawa is the founder, photographer, and recipe developer of The Forked Spoon. Jessica started blogging while traveling through Asia and Europe where she discovered her passion for food and new adventures. The Forked Spoon has become a trusted website for family-friendly recipes covering dozens of diets, courses, and cuisines. 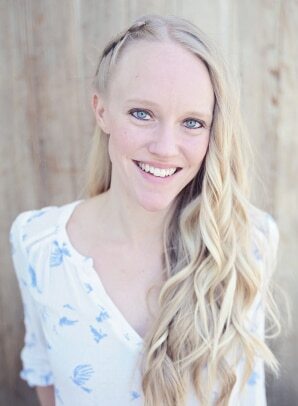 Jessica is a University of California graduate, California native, and mom to one. Are these not hazelnuts in the picture? I want to try this recipe, I love beets. Great catch – you are correct! I updated the recipe to reflect the hazelnuts. Subscribe to our weekly newsletter to receive our FREE eCookbook!